EasySplitMerge is a reliable file splitter that lets you split your large files into a set of smaller files called pieces. and you are able to join the piece files together in order to restore the original file. It helps make much easier the internet distribution and the file sharing by dividing big files into small pieces. 321Soft Image Converter for Mac is a software for converting multiple images into various formats such as JPEG, JPEG2 ( Jpeg 2000), GIF, TGA, PNG, PSD, PDF, BMP, TIFF. Batch processing allows you to convert multiple image files at a time, thus saving you time. The professional iPhone, iPad & iPod touch Data Recovery Software for Mac. It offers you two kinds of recovery mode: Recover data directly from iPhone, iPad & iPod touch quickly and efficiently, or Extract and recover text messages, SMS, photos, videos, contacts, call logs, reminders, notes and voice memos from iTunes backup files. Work perfectly in most iPhone data loss circumstances. No matter you lost iPhone data due to iOS updates, jailbreak, device damage, formatted, crashed, factory reset and other reasons. 321Soft iPhone Data Recovery for Mac is the one-stop data recovery solution for your iOS device. The easiest way to record audio and online music from any sources including from system audio, any running applications, websites, VoIP conversation, microphone or an external device. Record online music from YouTube, Napster, GUBA, Pandora, Spotify, etc. Save your recording in more than a dozen popular audio formats, including: MP3, WAV, AAC, M4A, M4R, AC3, AU, FLAC, MATROSK and OGG. Works with Mac OS X 10.6 or later, including OS X Mountain Lion. Easily convert video, HD video, camcorder video to common video on Mac OS X. and edit HD video and SD video with flexible editing funcitons. 321Soft Mac Video Converter supports converting between any popular video formats, including all popular SD video (MP4, M4V, MKV, 3GPP2, 3GP, WMV, MOV, SWF, FLV, AVI, MPEG, MXF, VOB, RM, RMVB, MPEG, AMV, SMV, ...), HD video (HD M2TS, MTS, TS, MOD, TOD, HD AVI, HD MP4, HD MKV, HD MOV, HD.264/MPEG4 AVC...). You are also allowed to extract audio from video and convert to any audio format, link MP3, AC3, AAC, WMA, M4A, WAV, OGG, AIFF, FLAC, AMR, etc. The videos or audios converted by 321Soft Mac Video Converter are compatible with most digital devices, like iPad, iPhone, iPhone 3G, Apple TV, PSP, PS3, Wii, Xbox 360, Sony Walkman, Archos, Creative Zen, iRiver, BlackBerry, BlackBerry Storm, Sony, Ericsson, Mobile Phone, and other digital multimedia devices. 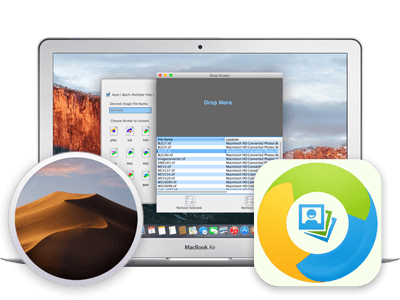 In addition, 321Soft Mac Video Converter offers numerous ways to customize your files: clip and split them, merge them with transitions added, crop video image, and artistic effects to them. 321Soft Flash Memory Recovery is the perfect data recovery solution for all types of media including USB Drives, Memory Cards, CD's and DVD's, and almost any other type of digital device that uses flash memory. The software interfaces are consists of several dialogs by step-by-step wizards mode to guide the user go over the whole work of data recovering. Regardless of whether you accidentally deleted a photo or memory card corruption, even your flash drive got formatted, Flash Memory Recovery will be able to help you retrieve those files instantly. Compared with other photo recovery products on the market, 321Soft Flash Memory Recovery has important advantages. It can recover not only photo, images and video files, but also office documents, music, spreadsheets, archives, and other erased data. Additionally, it recover RAW digital photos that are generated by professional DSLR cameras like Canon, Nikon, Olympus, Sony, Pentax etc. it also supports recovering high-definition video formats. 321Soft Flash Memory Recovery is a No risk data recovery application and will not write or make changes to the drive it is recovering from. Throughout the recovery process, it uses a read-only mode to scan and find files in your drives or devices. Ability to preview files before recovery, Burn recovered data to CD/DVD using the built-in burning software. Flash Memory Recovery 5 is powered by 321Soft which uses the most up-to-date and best data recovery engine that is available on the market today! 321Soft Icon Designer is the most user-friendly icon software for Windows. It allows to create and edit icon images in either standard or custom sizes for your new software, Windows and Mac as well as create a favicon for your website. You can capture favorite image using the snapshot feature and save the image into an icon, or export icon to image. With the help of many tools and effects icon creation is made easy. It offers powerful tools like Lighten, Darken, Contrast, Blur, Soften, Sharpen, Edge, Emboss, Invert for retouching your icons in minutes. 321Soft Icon Designer enables you to select standard size or you can set your own size parameters. What's more, 321Soft Icon Designer allow you to extract icons from DLL, EXE files, search icons from your Windows, and change icons embedded in executable files. The latest version compatible with Windows 7. 321Soft Data Recovery is a full features, safe and easy to use data recovery solution for Mac OS X that is designed to recover lost, formatted and deleted files from all types of media such as hard drives, USB flash media drives, iPod, SD Memory Card, mobile devices, or any other type portable storage devices. Regardless of the reason for data loss, be it from accidental deleted, formatted, partition damaged, virus attack, power failure and even a re-install of a Operating System, 321Soft Data Recovery can still restore your data! with intuitive and user-friendly wizard driven interface. It is incredibly easy to use. In addition, It allow you to create disk image files to recover data from drives having bad sectors. 321Soft Data Recovery is a full features, safe and easy to use data recovery solution for Mac OS X that is designed to recover lost, formatted and deleted files from all types of media such as hard drives, USB flash media drives, iPod, SD Memory Card, mobile devices, or any other type portable storage devices. Regardless of the reason for data loss, be it from accidental deleted, formatted, partition damaged, virus attack, power failure and even a re-install of a Operating System, 321Soft Data Recovery can still restore your data! with intuitive and user-friendly wizard driven interface. It is incredibly easy to use. Copy and Backup your important Data CD, Audio CD, Video CD in minutes by several clicks! 321Soft Clone CD can clone Data CD, Video CD, Audio CD on-the-fly. Do you have the bad experice getting your important data CD corrupted or damaged when you need it? Do you worry about your favorite Video CDs or Audio CDs bought from store will get damaged someday? Now you needn't worry about it, download and try 321Soft Clone CD get all your valued CDs cloned with numerial copies for backup. Just use the cloned copies and keep your original CDs in a safe place! 321Soft Clone CD is designed for backup your CDs. It runs fast, stable, and easy! It takes only several minutes to clone a CD. And it is compatible with different CD-ROM brands, supports most popular brands. 321Soft Clone CD supports different copying modes including CD to CD, CD to Image, Image to CD. And it supports different ripping and burning mode, like RAW DATA, RAW DAO, Session-At-Once! 321Soft Screen Video Recorder is designed to record your computer screen (full screen or a fixed area) into AVI video file for further purposes like editing, burning DVD, making slide show movie, etc. 321Soft Screen Video Recorder is perfect for making training document, software demo video, slide show movie, etc. Your may run your software or document on your screen step by step, then record the whole procedure into AVI file. If you like you may speak and record audio simultaneously. And you may even record your mouse click with an enhanced effect so that when others watch your video may pay attention to the mouse moving tracks and clicking points, this is very useful to users who will use it to make software training documents. And you may also add some text on the video that you recorded to protect your copyright from being pirated.